We are pleased to provide all of our patients an extensive 30 minute sight test examination with one of our dedicated optometrists. This examination may be funded privately or by the NHS. 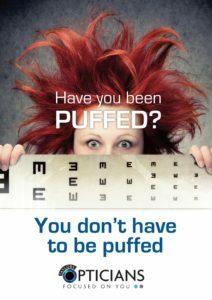 Ask one of our team regarding your eligibility for an NHS eye examination. Your optometrist will not only determine your latest spectacle prescription, but will also monitor the health of your eyes, which can be an indicator to your general health. As part of our comprehensive examination we provide digital photography of the back of your eye, at a nominal charge.We aim to make your examination an enjoyable experience, and have recently invested in new equipment that allows us to check the pressure of your eyes with ‘No puff’. Digital photography, Diabetic Retinopathy Screening, Glaucoma Refinement Screening, Cataract Screening.